Choose your Wellness Program, delight your senses, renew your spirit, and pamper your body, enjoying the benefits of different complementary treatments. In our menu you will be able to choose among a selection of services according to your needs and preferences. A natural and gentle warm vaginal steam of herbs historically used to cleanse the uterus, release toxins, as well as strengthen and tone the reproductive organs. 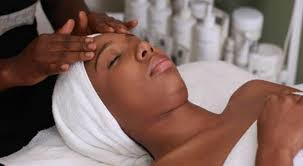 We incorporate various services to bring about a healthy Body, Mind & Spirit addressing the whole woman. Includes Herbal Vaginal Steam, Womb Wrap Clay Detox & Womb Reiki w/ crystals. Includes an initial assessment prior to steaming. A natural and gentle vaginal steam that requires sitting on a low comfortable stool above a warm steam of herbs used to cleanse the uterus, release toxins, as well as strengthen and tone the reproductive organs. Includes an initial assessment prior to steaming. from the Breast Tissue. Followed by Womb Reiki to assist in balancing and healing. Treatment Includes: Navel Candling with Womb Stimulation of Reproductive Organs. Reiki is an energy healing system that focuses on mental, physical and spiritual blockages and imbalances in the body. The Reiki practitioner channels the Universal Love Energy that surrounds us and directs it to the areas of the body where you are most in need. This Energy is in all human beings and in all of nature. A Reiki Practitioner uses various techniques to assist with bringing a free flow of energy through the body. Reiki is a deeply relaxing treatment that can leave you feeling calm, centered, and vibrant.